Recent publications and reviews of books about Thomas Aquinas are indications that there is a revived interest in Thomistic thought from a Protestant pov. There are sides, however, and the exchange of ideas between the experts provokes more questions for those still learning about Thomism from a Protestant perspective. In order to work through this substantial body of literature Protestants need a path forward, a map or guidebook. Not that there haven’t been good resources before. There were, but the questions about Thomas have context in our own times as much as they do in his writings. If you’re new to this area of theology or if you’re confused by the deep waters of Richard Muller or Scott Oliphant or Cornelius Van Til or David Van Drunen, a very basic step is to identify the myths. What are the myths about Thomas that Protestants perpetuate. There are several. At the bottom of this post I list several that come to mind. The purpose of this post is to consider one myth. Such myths about Thomistic literature get traction when we hear or read things like this from scholars in Reformed theology. “Natural theology asserts that autonomously a man may come to a proper interpretation of God’s revelation in nature and in history” (Greg L. Bahnsen). “We’ve been duped into thinking that apologetics is not on the basis of revelation, but on the basis of neutral human reasoning. That’s a medieval concept right from the Roman Catholic Church” (Scott Oliphint). “But in practice Rome teaches that those who take reason as autonomous and who therefore make man the final point of reference in predication are essentially right in their methodology. In particular is this the case with Aristotle who is constantly called “the philosopher” by St. Thomas and frequently said to be right in his basic methodology.” (Cornelius Van Til, A Christian theory of knowledge). Van Til goes as far as to call Thomas “the autonomous philosopher” (Defense of the Faith, 156). It’s important to keep in mind that the Reformed Presuppositional critics of Thomas are the ones marking his thought with the supposed error of “autonomous reason” or “neutral reason.” This is actually a major error of the Secularists or the Materialists. Not Thomas. Many Secularists strongly defend the idea of the free reason, not bound to God or theology. Thomas taught the opposite. In other words, the Presuppositional apologists have the right error, but pinned on the wrong man. Did Thomas teach that man has “autonomous reason” and from that he can assent to God, even to the point of salvation. No. The Presuppositionalists have made a presupppostional mistake. They presume something in Thomas that isn’t there. It is quite clear that he did not teach this nor is that the claim of Natural Theology either. 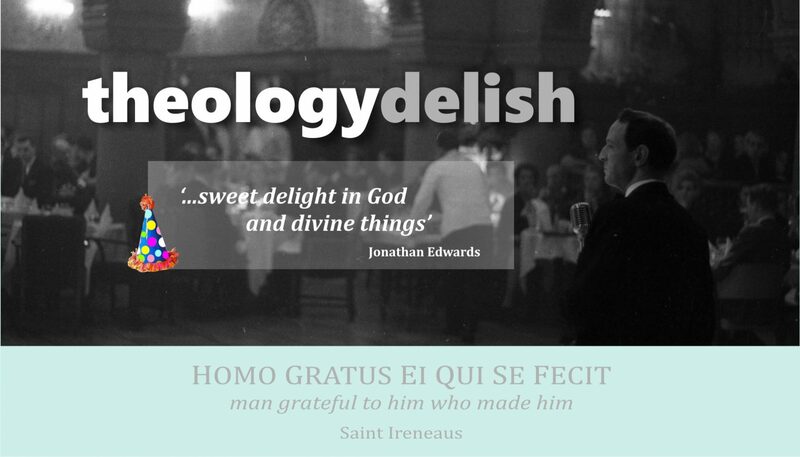 A – In the Summa Theologica Thomas from the beginning anchors his thoughts in Scripture. He maintains this habit of referring to Scritpure throughout the body of the work. Go to this link for a list of references to Scripture from Genesis to Revelation that are scattered all across the Summa. Just to be sure you can go to another source which lists the many references to Scripture in the Summa. Sure, there are references to the Apocrypha, but notice how widely Thomas refers back to Scripture. The breadth of reliance on Scripture from Genesis to Revelation is no small effort on his part. If Thomas would have been so devoted to the idea of “autonomous reason” he would not have appealed so often to Holy Scripture. B – We read the words of Thomas himself. “…it is evident that all things partake somewhat of the eternal law, in so far as, namely, from its being imprinted on them, they derive their respective inclinations to their proper acts and ends” (Summa, 1.2.91.2). “Hence it was necessary for the salvation of man that certain truths which exceed human reason should be made known to him by divine revelation” (Summa, 1.1.1). “As Gregory says: ‘Faith has no merit where human reason supplies proof.’ But it is wrong to do away with the merit of faith.” (De Trin, 2.1.5). C – A significant historical fact is that of Latin Averroism. In Paris during the period that Thomas was there the extreme philosophy of Latin Averroism had a small vocal following. They set Reason apart from Faith. Thomas wrote the Summa, in part, to confront the Latin Averroists as well as the Radical Aristotelians (also called Heterodox Aristotelians). These groups took the work of Greek philosophy into over-extention such that they set Reason on a pedestal over faith. 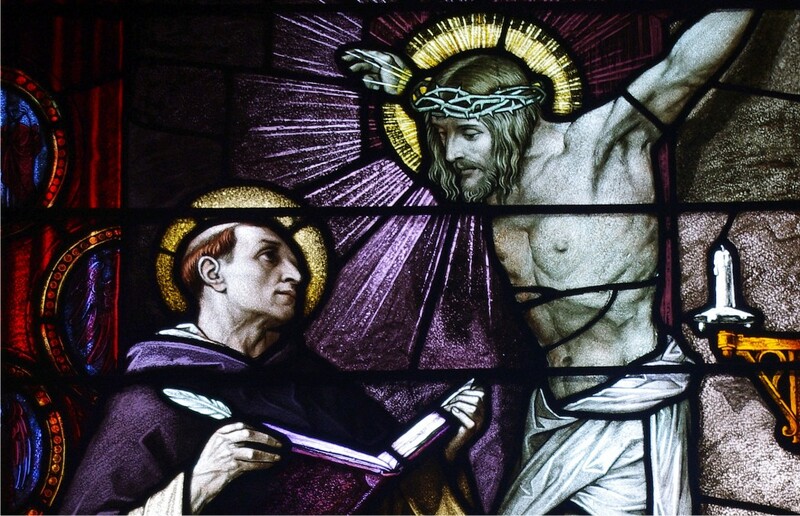 Thomas sought instead to do as the Apostle Paul did, to demonstrate a “reasonable faith.” The irony for us now is that Presuppositionalist criticisms of Thomistic apologetics are off the mark, meant for Secularist thought. Instead the Presuppositionalists when addressing our Reformed Thomism are in reality talking past us. As Protestants, especially Reformed, we should represent with fairness and accuracy the views of those with whom we differ or even the views of those we openly oppose. Good and sound apologetics cannot be built up otherwise. Straw men have no place in a Christian apologetic, no matter what school of interpretation we stand in as Protestants. Charity toward our fellow man requires a truthful apologetic, not one bolstered by false claims or erroneous presuppositions. Perhaps this is also why there a renewed interest in Classic Christian Theism and in Reformed Thomism. The last century, even the last few decades have brought many novel ideas into our churches and seminaries. We should aim meet the new challenges of our times with the solid and ancient truths of Christian wisdom. 1. Thomas believed in “autonomous reason” or unaided as some critics like to say. False. 2. Thomas’s Five Ways are ways that a man can come to God. False. 3. Because Thomas was Roman Catholic all his writings, especially the Summa, is pagan philosophy mixed with religion. False. 4. Thomas was basically re-stating what Aristotle taught and thus Thomistic thought is Aristotelianism repackaged. False. Do any other misconceptions about Thomas come to mind? Let me know. Note: As Protestants we certainly disagree with Thomas on means of grace, ecclesiology, and questions of how nature and grace relate. Still there is much left which is commendable in the areas of philosophy, trinitarian doctrine, Classic Christian Theism and uses of Scripture. Is “worldview” too much with us?